Daimler and Bosch have partnered to test automated valet parking in the multi-storey car park at the Mercedes-Benz Museum in Stuttgart, Germany. This feature enables cars to autonomously move to their assigned parking space following a command issued by smartphone, without any supervision of the driver. From next year, visitors to the museum’s multi-storey car park will be able to experience the service. Mercedes-Benz cars development head of automated driving and active safety Dr Michael Hafner said: “We are approaching autonomous driving faster than many people suspect. The driverless parking solution at the Mercedes-Benz Museum demonstrates in impressive fashion just how far the technology has come. 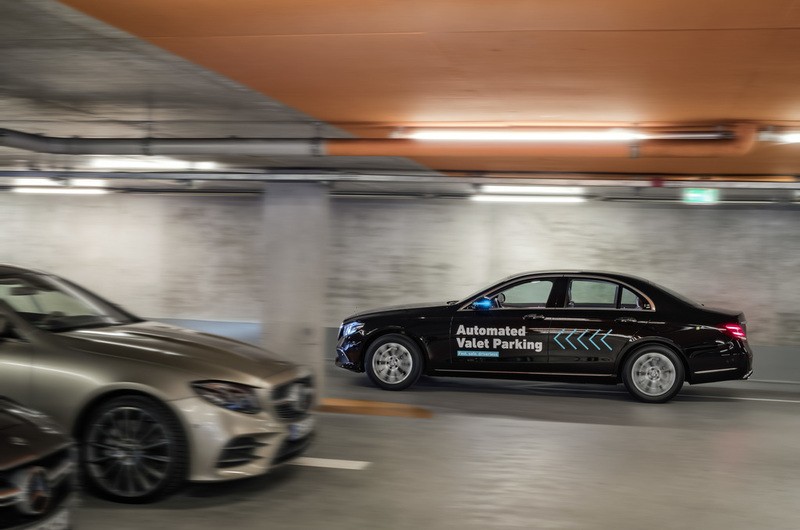 Autonomous parking has become a possibility due to installation of intelligent infrastructure at the multi-storey car park by Bosch and the vehicle technology by Mercedes-Benz. The car park area is installed with sensors, which help in monitoring the driving corridor and its surroundings and accordingly guide the vehicle. The technology installed in the vehicle helps in performing driving manoeuvres following commands from the intelligent infrastructure at the car park. The demonstration is to be followed by a trial and commissioning phase. The project has been overseen by authorities of Stuttgart regional council and the federal state transport ministry and by appraisers from the TÜV Rheinland technical inspection authority. Final approval will be required from the licensing authority before the autonomous customer service comes into operation at the beginning of next year. Image: Daimler and Bosch team-up to test automated valet parking. Photo: courtesy of Daimler AG.